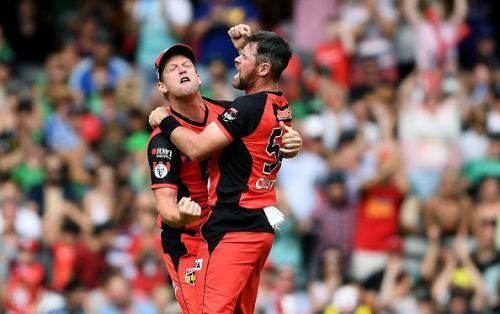 The 2018-19 edition of the Big Bash league has come to an end with a fitting finale. 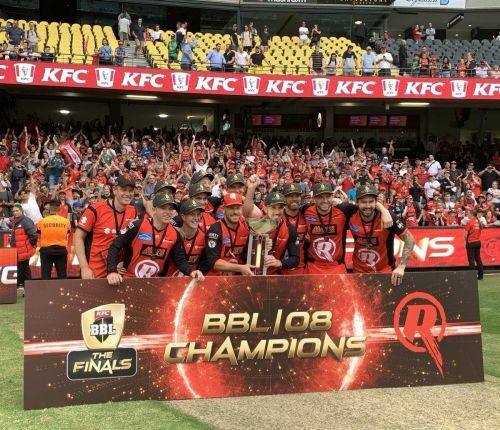 Melbourne Renegades defeated Melbourne Stars at the Marvel Stadium to lift their first-ever BBL title. Melbourne Stars had an exceptional campaign this season under the leadership of Glenn Maxwell. The Stars defeated table toppers Hobart Hurricanes in the first semi-final to storm their way into the final. However, their city rivals had the better of them in the all-important title clash. Having lost both of their league games against the Stars, the Renegades had the last laugh in the match that mattered the most. Let us take a look at how each player performed as Melbourne Renegades defeated Melbourne Stars by 13 runs in the Big Bash League final. All player ratings are done on a scale of ten. Marcus Harris tried too many things before giving himself time in the middle it seems. He got out to Jackson Bird in the second over after scoring just 12 runs. Aaron Finch has been the mainstay in the Renegades batting line-up this season. He could only manage to put 13 runs to his name before getting run out in an unfortunate manner. But he didn't let his team down with his field placements in the second innings. Finch was applauded for his aggressive captaincy in a low-scoring affair. The wicket-keeper batsman had an exceptional campaign thus far but couldn't make any mark in the final. He only scored 6 runs off 7 balls to aggravate the Renegades' woes in the batting department. White came into the middle when the Renegades were struggling at 25/2 in the fourth over. He stitched a crucial 20-run partnership with his skipper before the latter got out. He scored a run-a-ball 12 with a boundary and a six. Mackenzie Harvey found himself once under the pump in the final. He scored only 14 runs before Adam Zampa cleaned him up. However, to his credit, he tried to spend some time in the middle. Tom Cooper played a gem of an innings under pressure to take his team to a respectable total. He remained unbeaten at 43 and stitched a game-changing partnership with Daniel Christian in the death overs. Daniel Christian saved his best for the knockout matches. After playing a blinder in the semi-final to take his side to the final, he put on an all-round masterclass to take his team over the line. The right-hander scored 38 not out and battled hard along with Tom Cooper to take his side to 145 runs. Then, later on, the all-rounder picked two crucial wickets in the 18th over to turn the match in the Renegades' favour. After being hammered in his first spell, he bounced back in style to get the two prized scalps of Ben Dunk and Marcus Stoinis. The Stars were on a roll till the 12th over and then Boyce struck twice in two overs to put them under pressure. Although he failed to get any wicket in this match, Richardson bowled really well in the powerplay overs. The Renegades were a few runs short in the first innings so they couldn't afford to give their opponents a flying start. That is exactly what he did when he bowled as per the field placements and didn't let the openers free their arms. The pacer from New South Wales had a brilliant outing with the ball. Tremain dismissed both Handscomb and Maxwell in successive overs to turn the game on its head. Who knows even if one of them would have stayed on the crease for a longer period of time. Harry Gurney has been the best death bowler in this season of the Big Bash League. The left-arm pacer proved his skills again in the final with his accurate and consistent yorkers in the end overs. The seamer from England gave away only 12 runs combined in the 17th and 19th overs of the run-chase and picked up Nic Maddison's wicket too.